An incident which happened few decades ago, few years ago, or just a few days ago, the truth remains the same for all the cases – It happened! 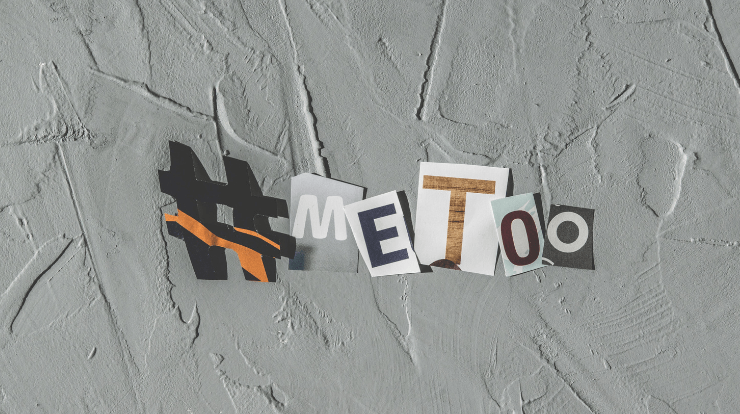 #MeToo movement was started by Tarana Burke, in the mid-2000s for the support of the girls who have survived sexual harassment. After this, the #MeToo movement spark in India, we have seen many face offs. My heart goes out to all those who survived such harassment and stood strong! > Why are you talking now? > She must have done it for her benefit. Isn’t it? > What’s the point of telling all this? To the first one, way to go ladies, even if it took you years to confront the world, you did it! Have you ever been in an accident or a life threatening danger, have you forgotten that day? Isn’t it still a night mare for you? Don’t you get goose bumps when you remember it, till today? Imagine, these ladies lived with this horrendous experience for year’s maybe, with no one to share. Now they are sharing their horrifying experience, so be it. We should support them. Second point – First of all, just because you are at a position of power, you can ask for any favor or you can pass any comment? Is it ethical? With more power comes more responsibility. The one in power couldn’t be responsible in spite of his position/age/place or whatever! He misused his position. Few ladies do fall for such traps, but it doesn’t justify the man’s actions! Does it? Third, if I know you and many others are in the same boat in which I am travelling, it doesn’t mean that I am seeking a solution. It just makes me feel more comfortable and strong to fight the situation. In the same way, many ladies voicing out is actually a support for all those who have gone/are in depression due to such harassments. It is a way to tell them, it was not your fault; we all have been there and we have been strong enough to survive. More power to you too! One can never ctrl+del (control+ delete : permanent delete) in life but of course, you can move ahead in life without bothering about the past. Let bygones be bygones! Like it is said, past does hurt, but you can either run from it or learn from it. Take your lessons and take on with life. Stay strong! !